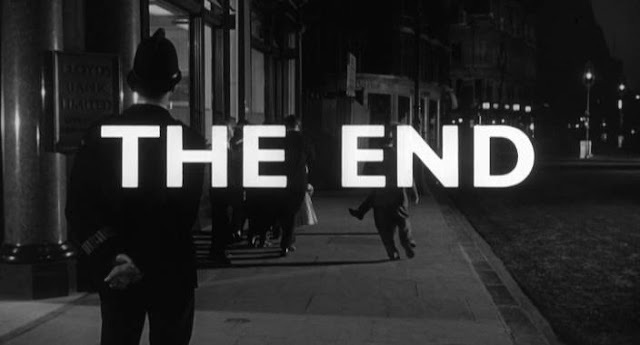 Thanks to a reader Andy, who suggested this film might be the subject of the Mystery photographs No: 5 post, I sought out and located a copy to have a look. 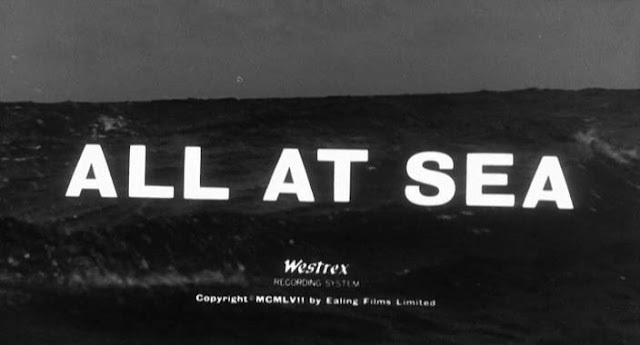 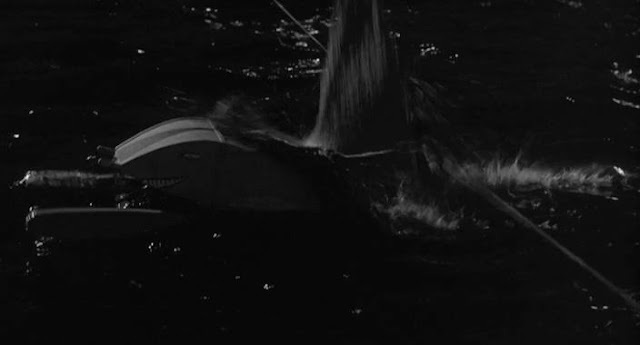 While none of the scenes in Barnacle Bill match the mystery photos it is an interesting subject none the less as it has some very fine model ship shots in it and it is a title that I was not aware of. 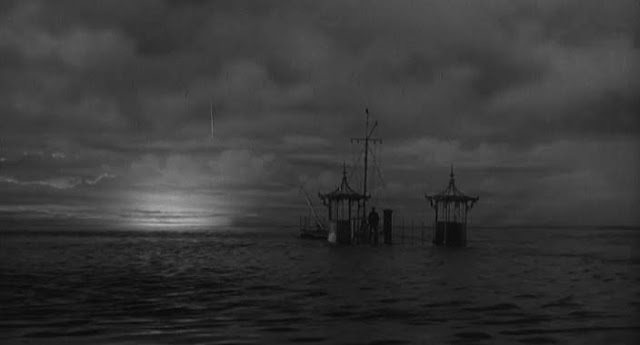 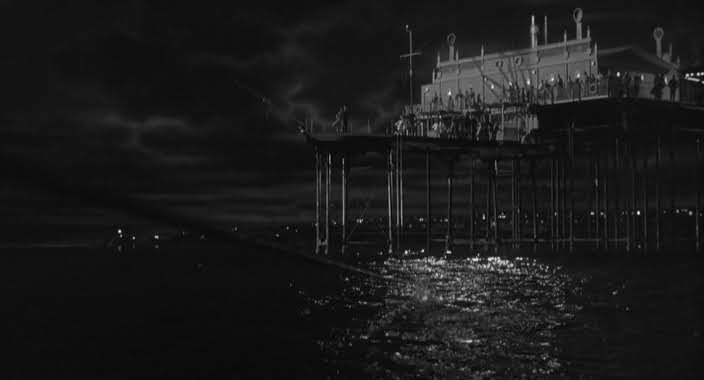 There is a miniature pier which is modeled upon the one which was at Hunstanton in Norfolk where all the daylight exterior live action shots were staged. The real pier was unfortunately destroyed by a storm in 1978. 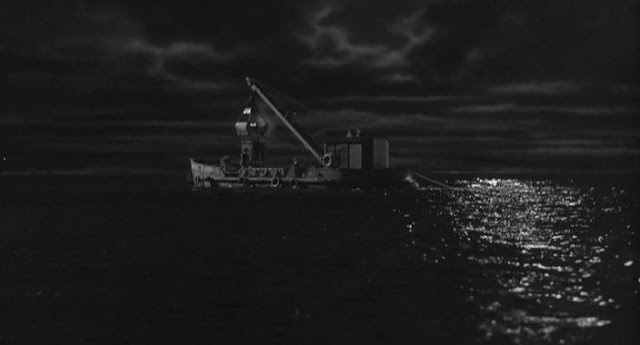 Along with the pier miniature there is a miniature steam dredger with a working grab. 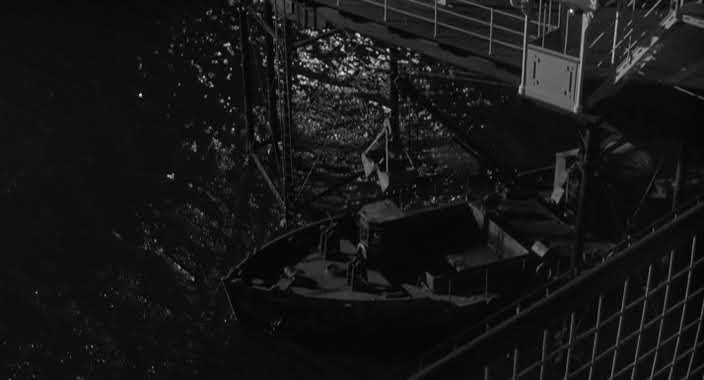 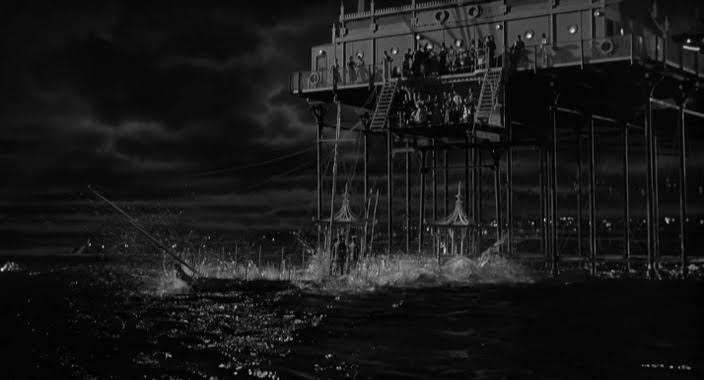 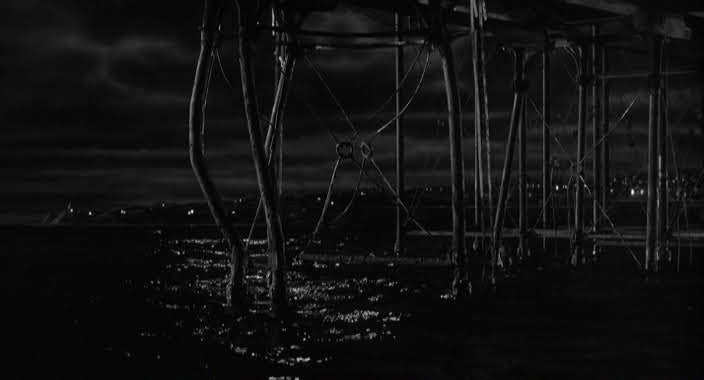 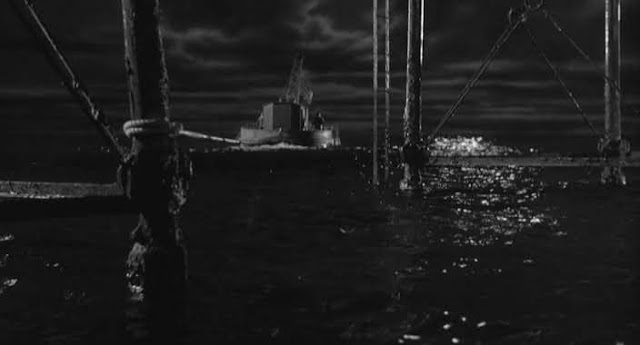 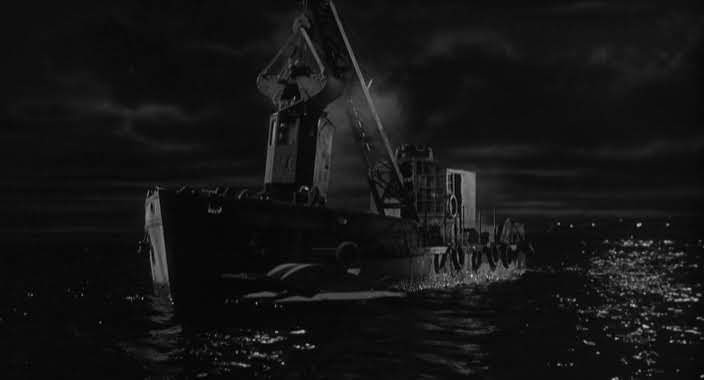 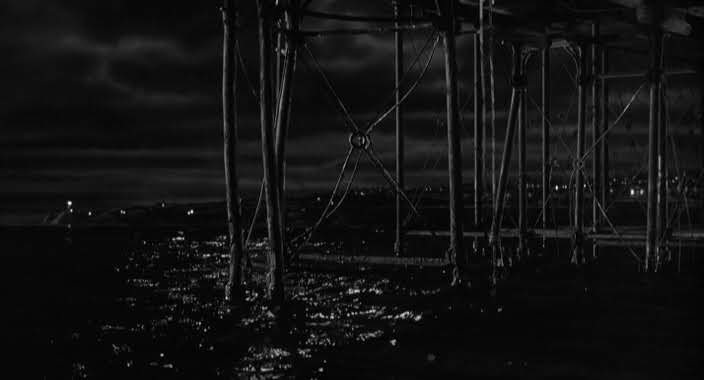 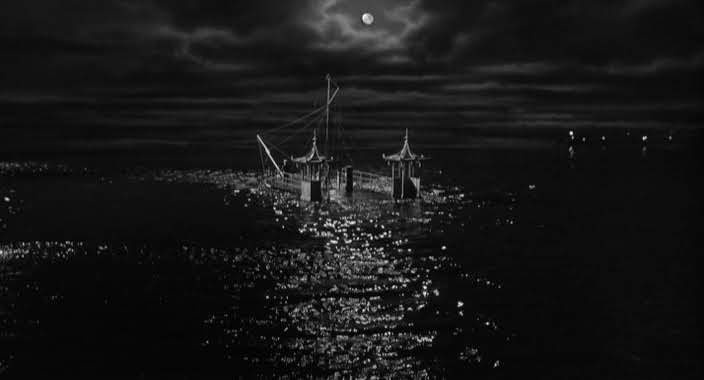 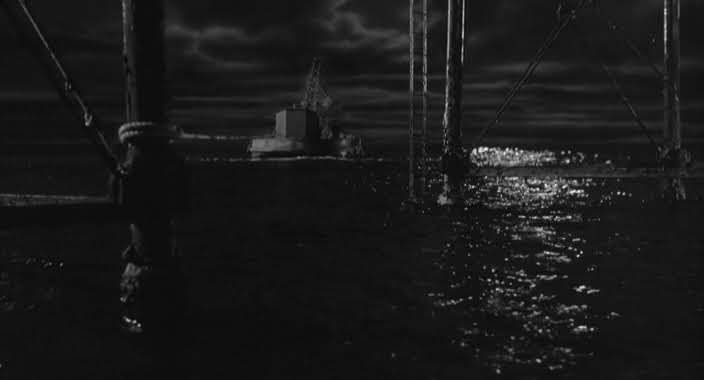 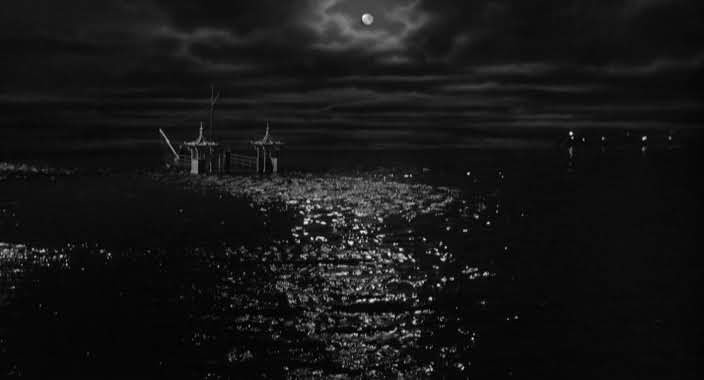 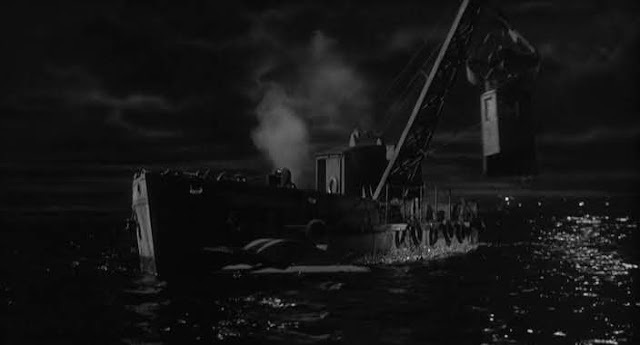 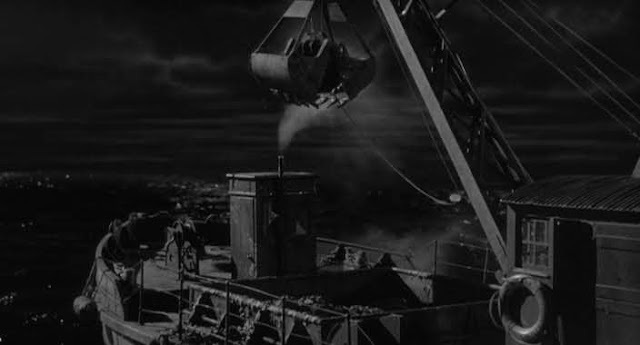 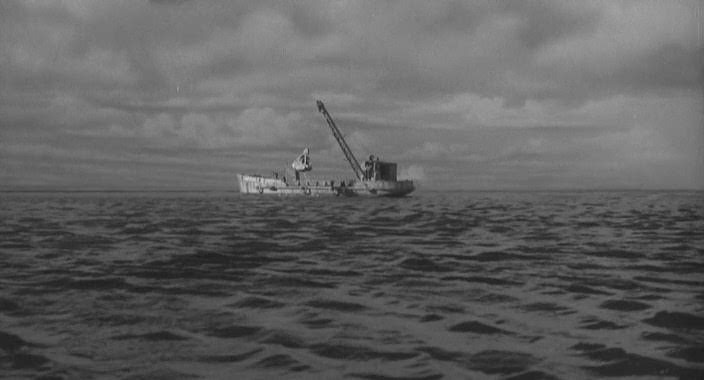 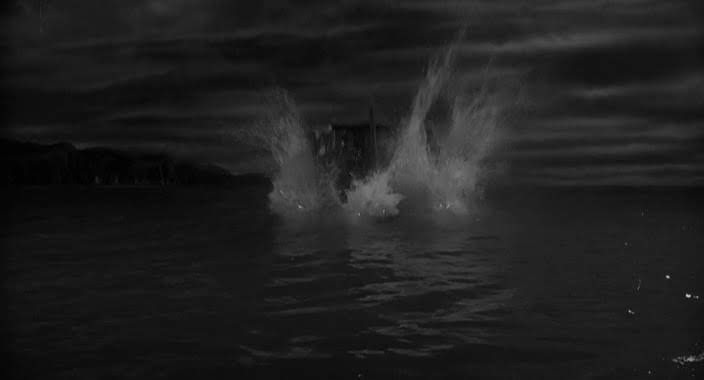 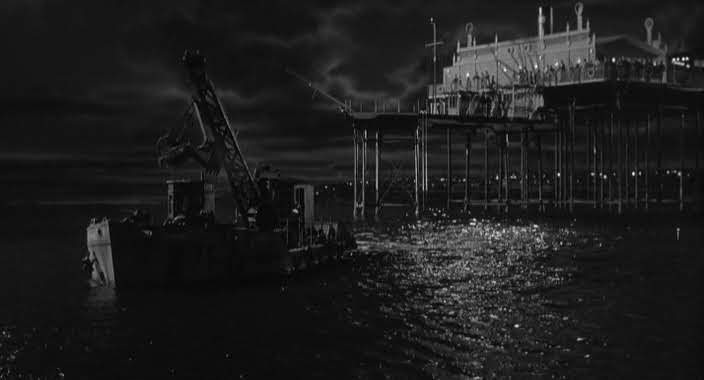 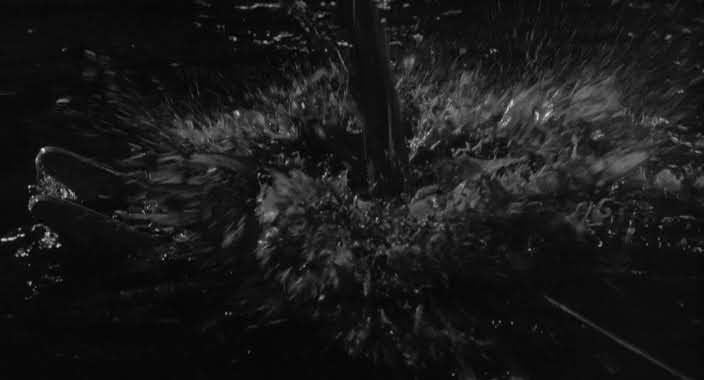 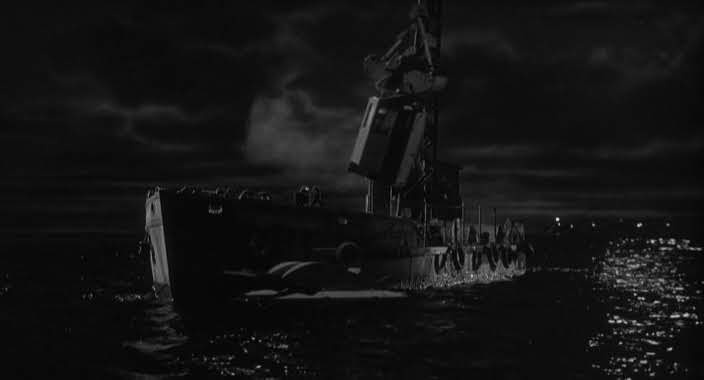 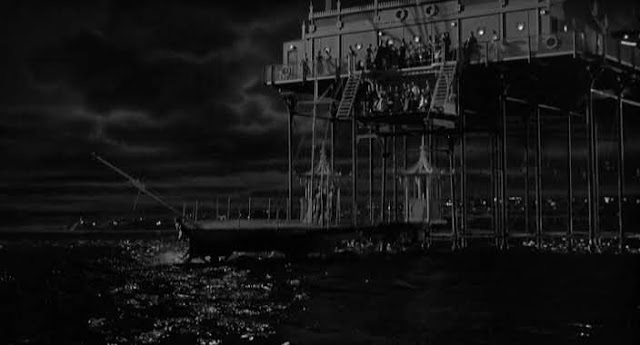 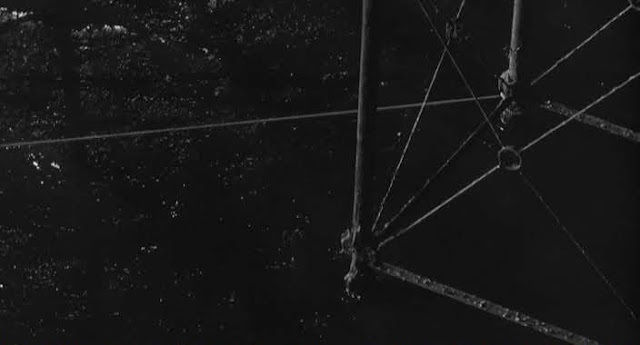 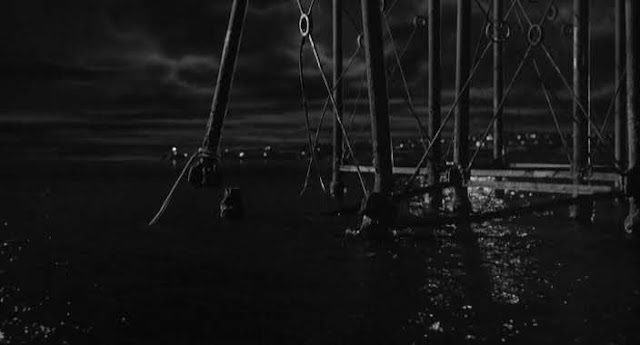 The villains of the movie use the dredger to weaken the pier supports. 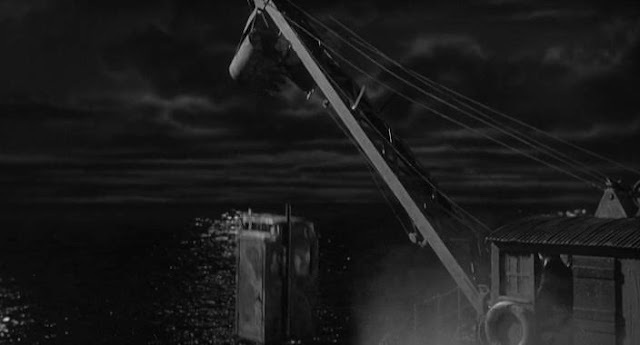 This results in the front end of the miniature pier splitting off, collapsing and ultimately floating across the channel to France. 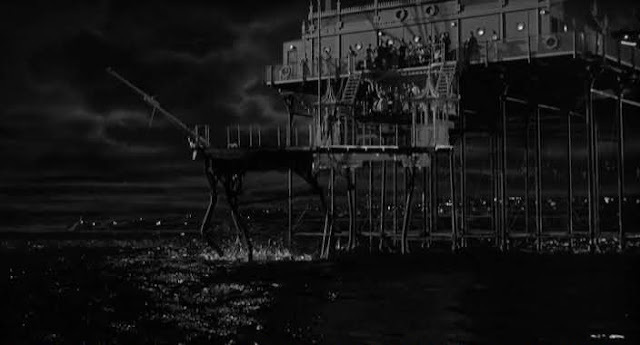 All of the miniature sequences are very well staged in an indoor studio tank. 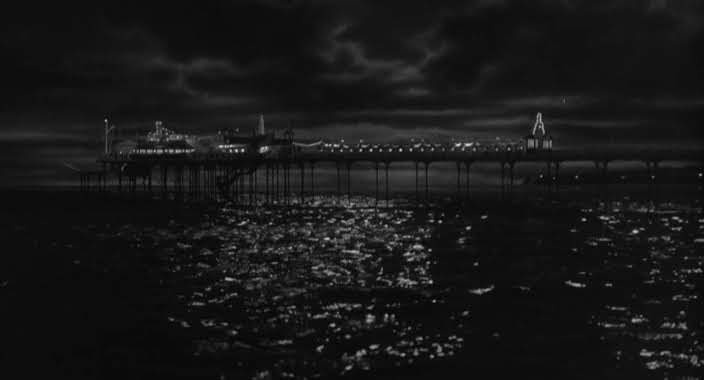 The lighting of the night scenes is particularly good and the scenic art backgrounds are also very nicely realised. Unfortunately I can find no credits for the miniature work. 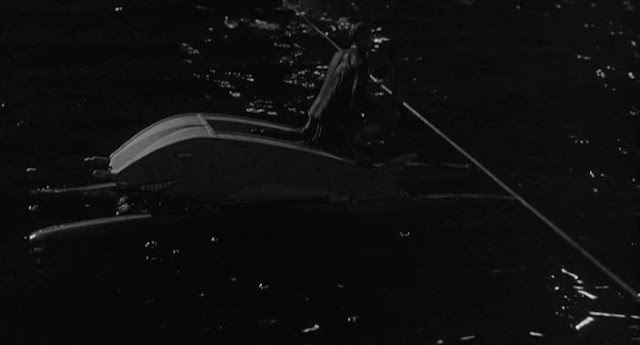 Miniature figure on a model pedal operated stern paddle wheeled catamaran. The figure gets a load of dredging mud dumped on him. 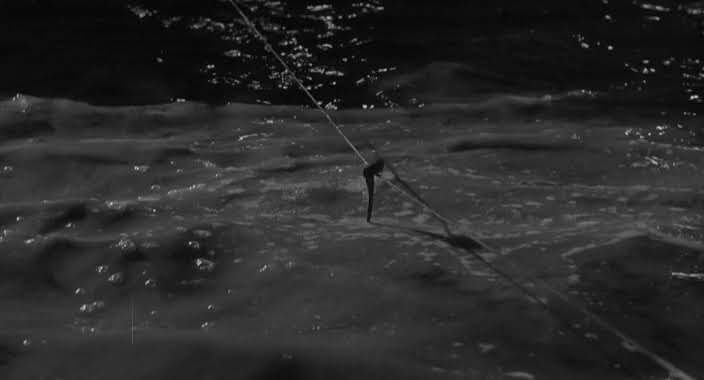 All that is left; a miniature axe hanging from the tow line.